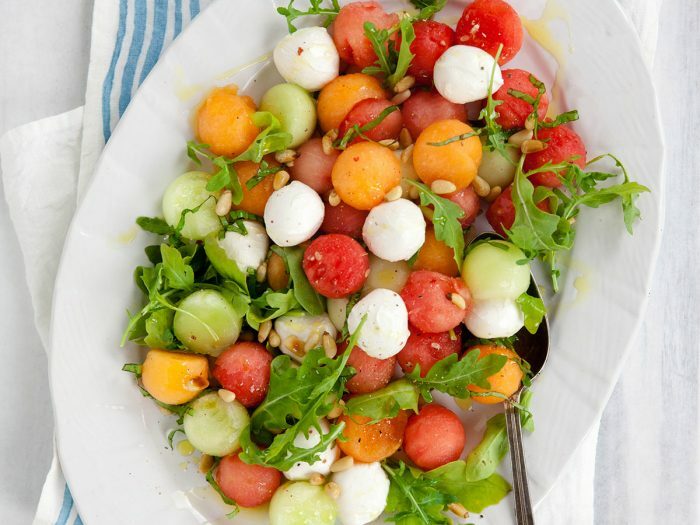 Watermelon, Arugula and Pine Nut SaladA light and refreshing salad, the sweet watermelon works so well with the peppery arugula. Perfect in summer when watermelons are at their peak. Watermelon, Feta and Mint Salad"My mother, Berry Heironimus, was Greek and one of her very favorite recipes was a Watermelon Mint Feta Salad. She used Colavita's Balsamic Glace in it. I wanted to share it with you". Michael K. Malone of Orlando, Florida. If you're looking for a cool spring salad, try this mint salad. 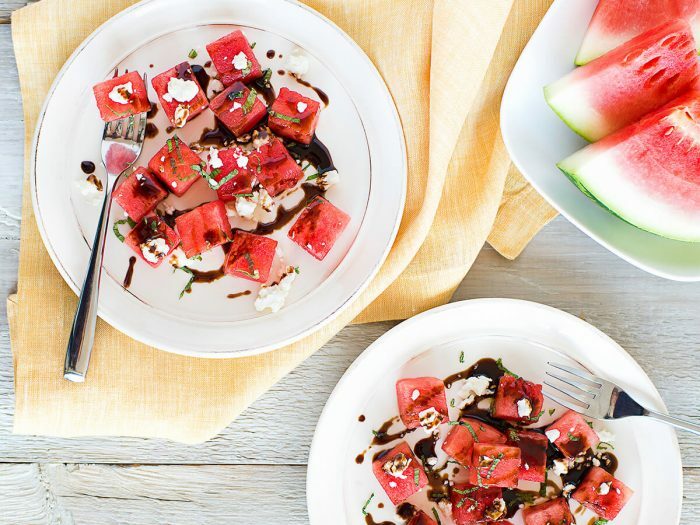 Not only is it tangy from the feta, you also get sweet juicy watermelon with every bite. 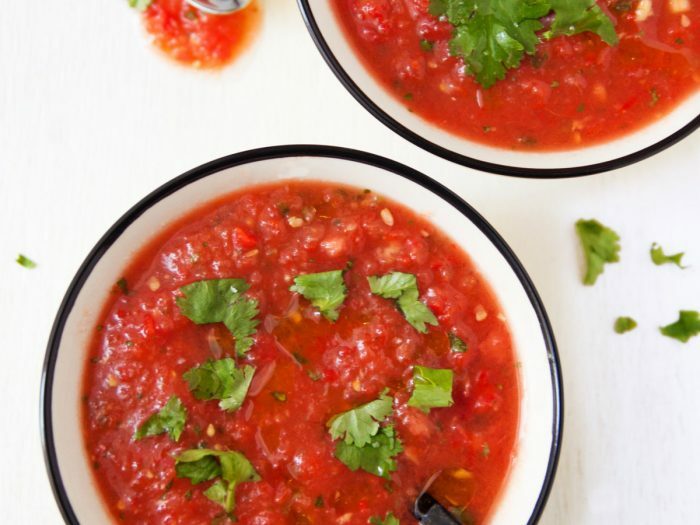 Tomato and Watermelon GazpachoTomatoes and watermelon combine to put a spin on traditional gazpacho, freshening it up for summer time. 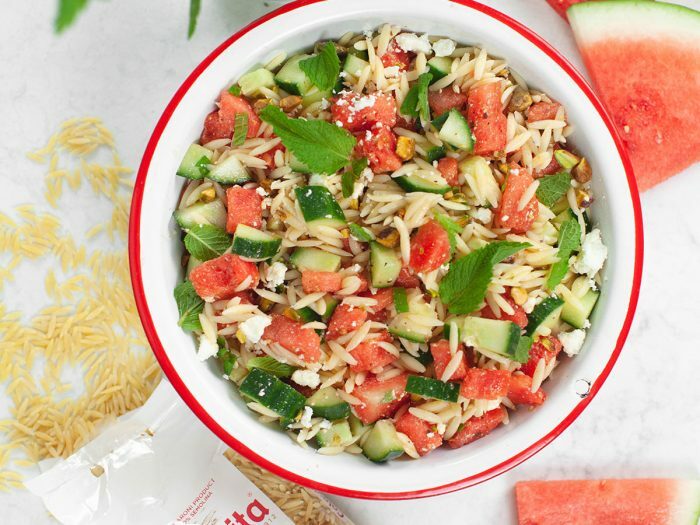 Blend some up for a perfect after-the-beach snack! Melon and Blackberry Salad with VinaigretteMelon and blackberry salad with honey-ginger vinaigrette is great with grilled fish or chicken. Marinate for a full four hours for the best flavor.